I was 24 when I applied for a job as a Powerline Worker Apprentice for Essential Energy. I registered during the apprentice recruitment of 2011. There were two positions open in the depot I wanted to get placement in and there were over 2500 applicants for those positions. I was made aware of the job openings by word of mouth from an employee. I researched the vacancies online and applied straight away. The entire process took around 5 months to complete and included online literacy, numeracy and safety tests. Once these were completed the online tests were repeated in a formal and face to face capacity. The group of potential employees were placed in a room and supervised while re taking the examinations. After this stage was completed, formal interviews commenced. I found out I was successful via a phone call from Essential Energy’s Human Resources representative. It was easily one of the most exciting moments of my life to date. I was a contractor to Essential Energy and after a period of time working alongside the line crews I found myself paying more and more attention to the work they were carrying out. I was intrigued by the processes and intricacy that was involved in maintaining the poles and wires and excited by what looked like a very fulfilling and fun job to go to everyday. It dawned on me how important electricity is to every single person in our community. 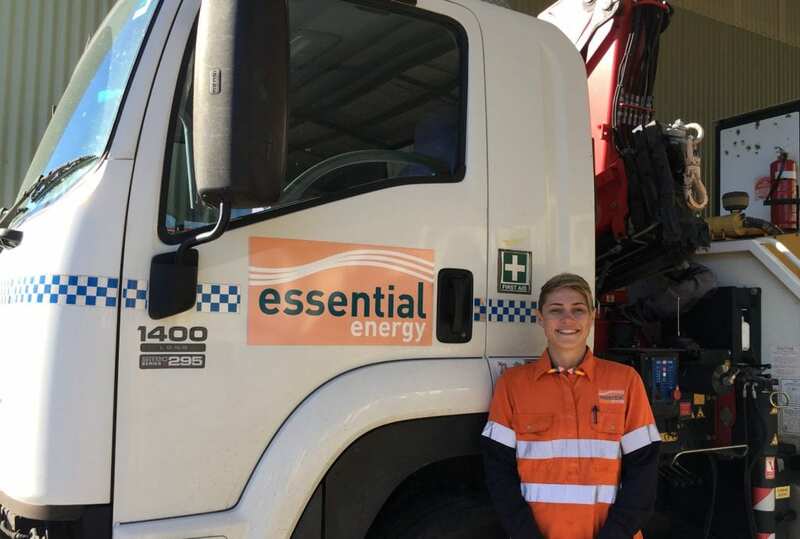 Without these tradespeople, the network and subsequently every house hold, business, and individual in the area would be left helpless without power; hence the name ESSENTIAL Energy. It was at this point I knew what direction I wanted to take as a career. In any occupation, there is always a wide range of professional and personal challenges. Professionally, my role as a powerline worker has quite a lot. Initially being a female in a very male dominated industry was one of the biggest obstacles to overcome. I remained open minded, patient and diligent with the work and my crew. In time, they understood that I was exceptionally capable of carrying out the tasks required of me and if I needed help I would come to them. The physicality required was the next challenge. Climbing power poles and lifting heavy equipment most days was something my body had to adapt to and the reason why I have always made a concerted effort to maintain my physical health and overall wellbeing. Then there were also the little issues of handling live electricity, working at extreme heights, driving heavy vehicles and equipment through difficult terrain to exceptional locations, working in severe weather and all the while learning the processes, operations and science behind how the electricity and the network function. From the first day, I developed a passion for my job. I didn’t see any aspects of my role as being too hard, rather I chose to view them as challenges that I wanted to master. By approaching every task in this way I was able to overcome any challenges. There aren’t many people in the world who can say that they get to wake up every morning to a job that they genuinely love and colleagues they consider as great mates; luckily I can. 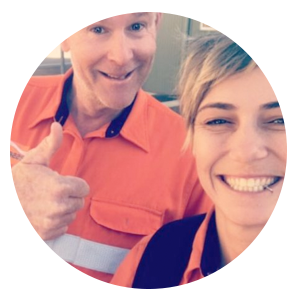 My workmates are a significant reason as to why I persevered to pursue my goal of becoming a fully qualified powerline worker. The connection you feel when you put your life and safety into the hands of another person isn’t a small thing. Like anything in life there are positives and negatives, but this job is overwhelmingly positive. I cannot picture myself ever leaving this industry. I feel a massive sense of fulfilment knowing that I am part of a team that is the only thing standing between the life we all know and appreciate and living in the dark ages. Not many people truly understand the skill, technology and labour power required in keeping the lights on and every day I am proud and grateful for being a part of the team that makes that happen. Also, it may be a small thing, but I feel the most proud when someone asks me what I do for work. I feel an overwhelming sense of pride in stating that I’m a powerline worker. People are always so captivated and impressed when I describe to them what I get to do on a daily basis. What are the benefits of working in trade? Everyone learns differently. Trade qualifications are such an important and integral form of education for certain careers. I personally love working with my hands, being outside and being a part of something bigger than myself. Getting my trade certificate has also opened limitless opportunities for future career progression and is internationally recognised. There are a lot of amazing aspects about being a powerline worker. My favourite part would have to be climbing; that sense of unbelievable satisfaction and freedom you feel when you are standing at the top of a power pole is like no other. You look out over a spectacular view knowing that what you are doing in that very moment is maintaining a network which is vital to every single person and I get to help keep it operating in a safe and efficient manner. The most significant triumph would be the day I completed my trade theory and practical examinations and became qualified. I have never felt such a large sense of accomplishment and happiness. 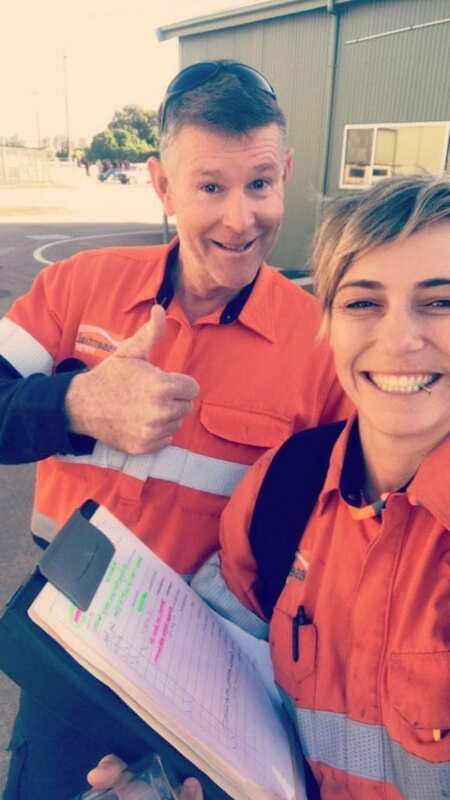 I was also recently approached by the Human Resources function of Essential Energy to be involved in a new and exciting recruitment and retention campaign for apprentices and women in the workforce. 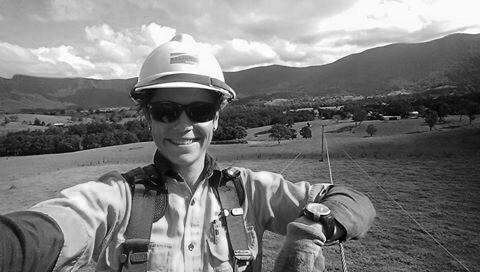 I am hoping that through my involvement in the Diversity group together with my extensive experience and knowledge, the profile of women in Essential Energy will increase and help to provide guidance to women out there, similar to myself, who are looking for direction and progression opportunities in their chosen career.